Pleasanton, CA, August 17, 2016 - Maddie's Fund®, a national family foundation based in Pleasanton, CA, awarded Portraits of Hope (POH) $300,000 to support their public art initiative to make animal shelters more inviting, appealing and attractive public spaces to help drive people to those venues to adopt dogs and cats in need of a home. Founded in 1995 by brothers Ed and Bernie Massey, Portraits of Hope, a 501 (c)(3) program, conceives and develops public art and civic projects. These one-of-a-kind motivational art projects merge the production of dynamic public art works with creative therapy for hospitalized children and civic education for students of all ages. Their projects have visually and spectacularly transformed everything from airplanes, buildings and the New York City taxi fleet to blimps, tugboats and NASCAR racecars for over 21 years. "Portraits of Hope takes great pride in that every major project has served and involved children and adults in hospitals and rehabilitative facilities by developing and utilizing special brushes and painting methods. This allows for not only inclusion, but also teamwork and collaboration that are pivotal to achieving positive change. By bringing this type of artwork to animal shelters we see it as a win-win-win for children, animals and our community. The fact that so many children - many at-risk themselves - will be part of the process to help vulnerable animals find a home is very powerful. 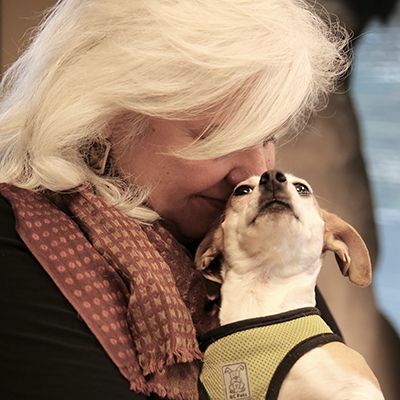 I cannot overstate how important it is to have Maddie's Fund partnering with us for the benefit of so many dogs, cats and kids," said Bernie Massey, Portraits of Hope founder. Thanks to Maddie, the first installation of what is hoped will be a national endeavor will be at seven municipal shelters within Los Angeles County. Work is underway on large, vibrant, hand-painted art panels for the walls, building overhangs and other surfaces, and 3-D art elements will provide the shelters a new, upbeat, inviting and very identifiable look - essentially representing the feeling a pet can give a person. "A sure way to get more people to go to the shelters is to make them much more inviting and attractive destinations. More people at shelters means more animals going home," said Ed Massey. "We hope this will serve as a catalyst and trigger other jurisdictions to think creatively about how to engage the public to promote and significantly increase pet adoptions in their regions and make their shelters more appealing public spaces." Maddie's Fund's Amy Zeifang, Executive Leadership Team, said, "This is a fabulous opportunity to harness the power of art to connect people with homeless pets. This artwork will represent that special bond between them. Research shows that 33 million people plan to acquire a pet this year, and only 7.2 million pets need to find homes." She continued, "This math is easy and we wholeheartedly believe this initiative will positively enhance the image of animal shelters in Los Angeles County, attracting the community to choose the shelter to adopt a pet, while also calling attention to the thousands of young people and community members who made it all possible!"